Our periodical is an open access journal. All content is freely available without charge to users or their institutions. Users are allowed to read, download, copy, distribute, print, search, or link to the full texts of the articles in this journal without asking prior permission of the publisher or the author. The journal does not charge fees for article processing or submission. Articles published in the journal are distributed under a Creative Commons Attribution 4.0 (CC BY 4.0) license. We follow guidance from COPE to support the ethical publishing principles. The guidelines are applied to the journal editors, authors, and peer-reviewers. The journal will follow the COPE flowcharts on how to deal with potential acts of misconduct. Authors should observe high standards concerning Ethical policy for authors of the journal as set out by the Commission on Publication Ethics (COPE). Any cases of ethical misconduct are treated very seriously and will be dealt with by the COPE guidelines. Authors should present an accurate account of the work performed (an objective account of its significance). Details and references must be sufficient enough to permit others to replicate the work. Research results should be interpreted correctly to avoid damage to the trust in the journal. Authors are responsible for assuring that data, results, quotes, citations, images and/or other materials in the manuscript are not fabricated or manipulated and cited accordingly. Proper acknowledgement of the work of others must always be given. The journal publishes only original works which have neither been published elsewhere nor is under review elsewhere. Exceptions are only for new works which expand previous works. Authors are asked to provide information on the re-use of the material. Unethical publishing behaviour is constituted if a single study is split up into several parts to increase the number of submissions. The journal uses Crossref Similarity Check powered by iThenticate to check for duplication and attribution in submitted manuscripts. Manuscripts that are found to have been used in other works without proper acknowledgement will occur immediate rejection. All researchers, listed in the list of the authors, should have made a significant impact in preparing the manuscript and share collective responsibility and accountability for the results. All, who have made a significant contribution, must be included in the list of the authors. After acceptance of a manuscript changes of authorship or order of the authors is not possible. Any financial or another impactful conflict of interests which could influence the results or their interpretation should be disclosed. All sources of financial support for the project should be disclosed. In cases of alleged or proven scientific misconduct, fraudulent publication or plagiarism the publisher, in close collaboration with the editors, will take all appropriate measures to clarify the situation and to amend the paper in question. It includes the prompt publication of an erratum or, in the most severe cases, the complete retraction of the affected work. Conflicts of interest occur when issues outside the research could be reasonably perceived to affect the neutrality or objectivity of the work or its assessment. Potential conflicts of interest must be declared – whether or not they had an influence – to allow informed decisions. In most cases, this declaration will not stop work from being published nor will it always prevent someone from being involved in a review process. If unsure, declare a potential interest or discuss with the editorial office. Submissions with undeclared conflicts that are later revealed may be rejected. Published papers may need to be re-assessed or in serious cases be retracted. Financial – funding and other payments, goods and services received or expected by the authors relating to the subject of the work or from an organisation with interest in the outcome of the work. Affiliations – being employed by, on the advisory board for, or a member of an organisation with interest in the outcome of the work. Intellectual property – patents or trademarks owned by someone or their organisation. At a submission, stage authors must declare all potential interests and should explain why the interest may be a conflict. If there are none, the authors should state “The author(s) declare(s) that there is no conflict of interest regarding the publication of this paper.” Submitting authors are responsible for co-authors declaring their interests. Authors must declare current or recent funding (including for article processing charges) and other payments, goods or services that might influence the work. All funding, whether a conflict or not, must be declared in the Acknowledgments. The involvement of anyone other than the authors who 1) has an interest in the outcome of the work; 2) is affiliated to an organization with such an interest; or 3) was employed or paid by a funder, in the commissioning, conception, planning, design, conduct, or analysis of the work, the preparation or editing of the manuscript or the decision to publish must be declared. Declared conflicts of interest will be considered by the editor and reviewers and included in the published paper. The journal aims to avoid assigning submissions to editors, and inviting reviewers, who have a conflict; they should decline in any of the above situations and declare any conflicts with the journal. He/she has the full power to enter into this Agreement and to make the grants contained herein. He/she/they is/are the sole author(s) of the paper and has/have full authority to enter into this agreement and in granting rights to Vilnius University Press are not in breach of any other obligation. The paper is original and does not infringe any copyright or violate any other right of any third parties. The paper contains nothing that is unlawful, libellous, or which would, if published, constitute a breach of contract or confidence or commitment given to secrecy. The authors agree to the Creative Commons Attribution License 4.0 agreement under which the paper in the Journal is licensed, and grants Vilnius University Press permission to publish the unpublished and original manuscript, the abstract forming part thereof, all associated supplemental material, and subsequent, if necessary, errata in the Journal under the Creative Commons Attribution License (CC-BY-4.0). An author keeps copyright and publishing rights. Further distribution of this work must maintain attribution to the author(s) and the published paper’s title, journal citation, and DOI. Anyone is free to share (copy and redistribute the material published in the paper in any medium or format) and adapt (remix, transform, and build upon the material published in the paper) for any purpose, even commercially. Editorial board actively engages in efforts to prevent scholarly as well as professional plagiarism and the journal takes Similarity Check procedure before the peer-review process.  This journal has an archival arrangement with PKP Preservation Network.